High-Heeled Foot in the Door: Giveaway Winner! This morning I used Random.org to pick out the winner for the give-away! This give-away was the first time I was actually happy to see Anonymous comments pop up! Very excited to work on give-away winners guest room! I'll make sure to share the design process with everyone on the blog. For those of you that did not win don't fret I'm planning on doing some special promo prices on my rates and will have more give-aways in the future! Cute Room!! Like the colors! Love that built-in dresser. How convenient! 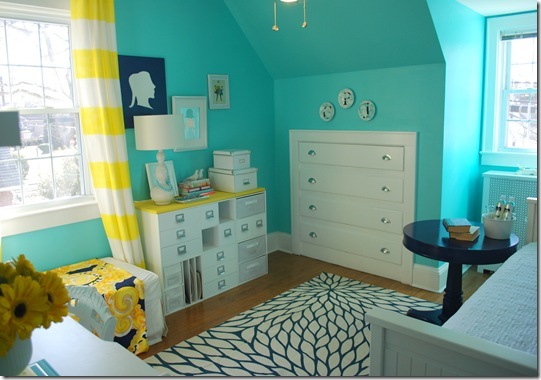 Great colors in that guest room! I just missed the promo! I have been planning to join it for my wife. Coz you know, she loves decorating and even maintaining our house. She often calls carpet cleaning (Bridgewater-based) or that of carpet cleaning (Clinton NJ-based). As the year comes to close, she is now planning a make over. I hope I can make to the next promo. They are perfect for people who spend a lot of time on their feet. However, they are not only for people on their feet but for anyone who wants to wear a pair of comfortable shoes that takes the pain away from your body when whereever you go. Astonishing, I like the way they integrated the wardrobe into the wall, it doesn't occupy any place inside the room.